On Feb. 12th Rappahannock Cellars participated in our first ever #VAwinechat with Frank Morgan from Drink What You Like! If you missed our VAwinechat, here's a little recap: VAwineChat is a way for wine producers, industry experts, bloggers and passionate wine drinkers to connect, to share wine and to exchange ideas. 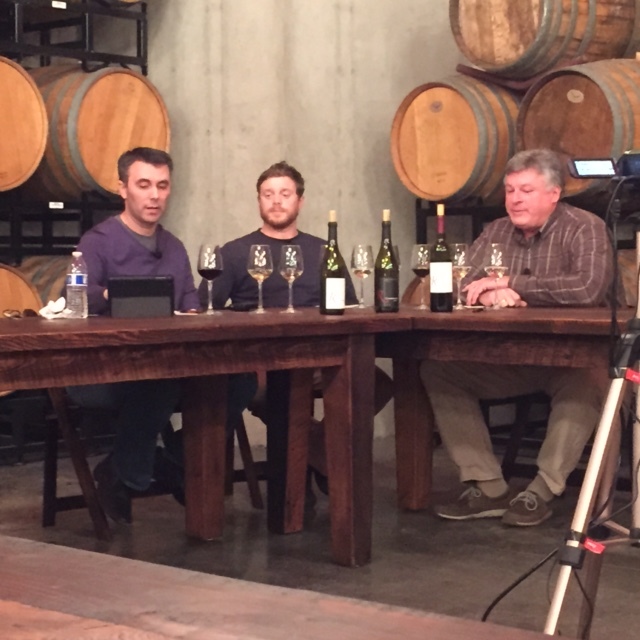 The discussion was led by Frank Morgan, and included our winery owner John Delmare, and our wine-maker Theo Smith. The chat kicked off with a lovely tasting of the three different wines: the newly released 2014 Viognier, the fabulously buttery Black Label Chardonnay and our signature and flagship wine, 2012 Meritage. during the tasting, the hosts received input from the audience, and were asked in depth questions about the wine. After the tasting, a lively discussion began on the status of Virginia wine and we addressed topics such as: Should Viognier be the state grape? What were everyone's thoughts on Frank Morgan's theory of the ‘widening gulf’ of wine in Virginia? and is Virginia wine the bridge between France and California? We were joined by some awesome bloggers and wine enthusiast who asked some great questions, and made some incredible points. Awesome contributions were made about Virginia's wine industry's identity, the quality and the perception of Virginia to the rest of the world. Not only serving as an organic ideas-exchanging medium, the chat provided laughs,and fun (and it wasnt just because we were drinking wine!) If you are interested in taking a look, the link to the video will be posted soon! A big thanks to everyone who participated! We all had a blast and we hope you had as much fun as we did!